Which Is Better - Ready to Move In Property Vs Under Construction? 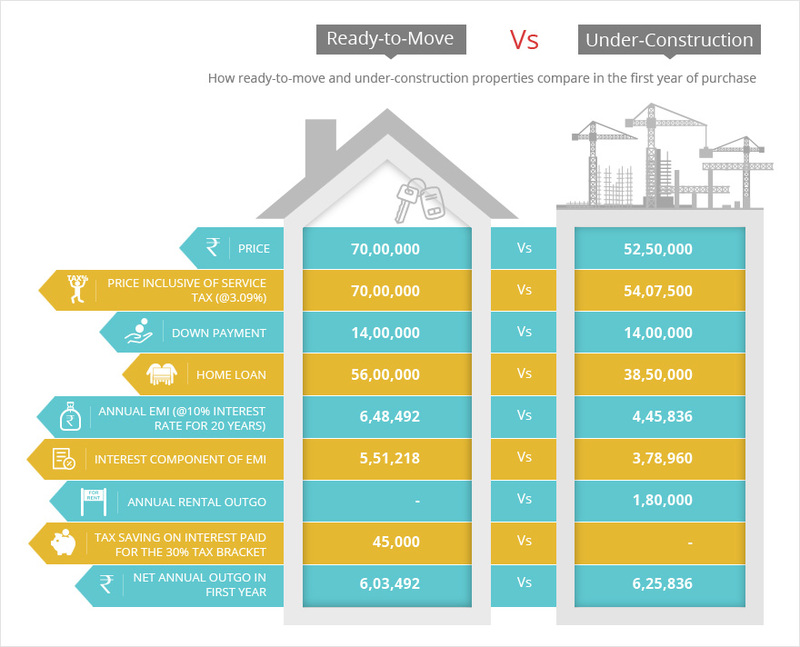 Which Is Better – Ready to Move In Property Vs Under Construction? Ready to Move In Property Vs Under Construction – Confused what is ready to move property? 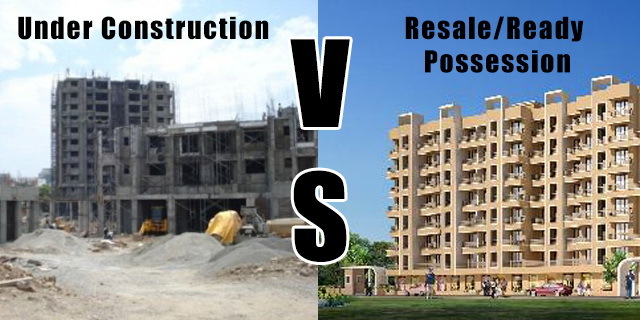 Which is a better option – ready possession flats vs. under construction? When it comes to property the confusion lays between whether to buy ready to occupy or under construction house. They both fulfil the same purpose but suit with different perspective and intentions. If you are confused on which house to buy then we give you points on ready to move in property vs. under construction one. Why Buy Ready To Move In Over Under Construction? Maple Apartments have been a loving choice in Tricity since decades. With successfully delivered projects, we give you reasons whether to invest in possession ready houses or under construction houses. In this battle of ready to move in property vs. under construction, let’s see who wins the best choice of majority people. Under Construction Property: The plot is yet to undergo the process or is in progress of building the house, flat or apartments. People who tend to buy a house but shift after the due course or want to invest earlier before the rise of land rates, consider it. The investments are smaller in comparison to possession ready properties. Ready to Move In Property: These houses have undergone the process of construction and are ready to living. The disadvantages of under construction led to possession ready house trends. People have been investing in such houses more due to better benefits. The cost of the house is genuine in comparison to possession ready even if the place is same, same environment and property type. The price difference usually in around 10-30 percent which is a huge amount of the budget. The initial return on investment is good here. The land rates tend to appreciate in between the buying stage and delivery timeline. If you intend to buy a house for resale purpose then it is a good option as you have time and growth in capital chances. Thus, you get healthy appreciation for your capital investment in under construction flat. Those who want time to shift from their current house can invest here. It takes certain period to finish. Fair trade practices are embraced as under construction properties are necessary to have Occupation Certificate as on 1 May 2017, and be registered under their States’ RERA. The purchasers can have a close look at the progress under State’s RERA website along with other information about the project. They can even seek speedy grievance redressal by the Appellate Tribunal formed under RERA. 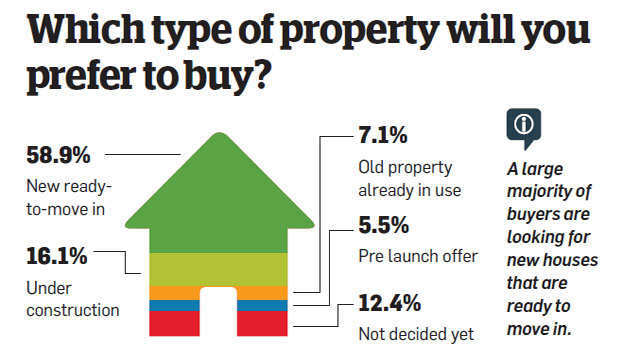 Statistics show that people are buying more of ready to move properties rather buying under construction flat. Due to delay in projects and failure to provide ample benefits, people are shifting to buying possession ready apartments for better returns and good experience. 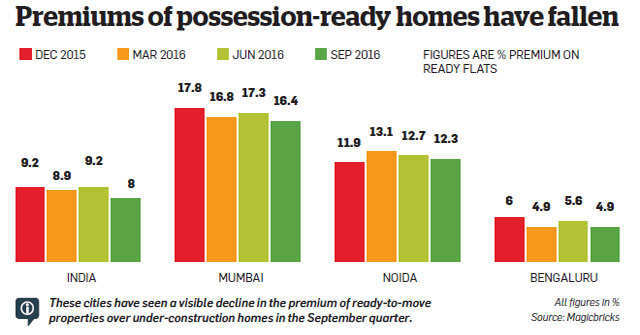 People Prefer Possession Ready Houses Over Under Construction. No waiting period as they are ready to move in. Thus, no delay on projects is faced which can drain you financially. There is no GST service tax on ready possession flat. On the other hand, under construction property purchasers have to pay Goods and Services Tax levies a 12 percent. This could lead to huge capital gains tax if the project delays for longer periods of more than three years. You pay what do you see in reality. Thus, you can have a close look at the building and ask about it in the neighbours who are experiencing it. The documentation process is simple and free from complexities. Just sign pay the amount and get ready for packing the bags and move in. If you are getting your home purchase financed then you will save by paying both rent and EMI on a regular basis which you have to do in under-construction houses. The purchase of a residential property is the dependent availability of funds and the possession timeline. Less time, more money buyers should go for possession ready and more time, less money should prefer under construction. It is your decision whether to buy pre-launch or ready to move property.